The new Clearwater Foundation for a Drug-Free World, dedicated Saturday July 11, is committed to eradicating drug abuse and providing meaningful drug education to young people throughout the Clearwater area by way of the Truth About Drugs program. 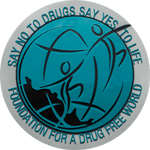 The Foundation for a Drug-Free World reception welcomes all those seeking to participate in drug education and prevention initiatives. The Clearwater Foundation for a Drug-Free World provides the ideal environment for volunteers and like-minded groups to meet and plan drug education activity Clearwater-wide. 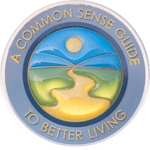 The Clearwater Foundation for a Drug-Free World provides every resource volunteers might need to carry out their drug education activities. 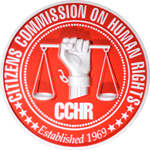 The center features two seminar rooms for drug education lectures, workshops and training programs in partnership with local civic groups and all for the dissemination of the Truth About Drugs. One of six facilities opened for the community Saturday July 11, the new Foundation for a Drug-Free World Center stands to serve the city’s downtown corridor in the name of a drug-free Clearwater. The Church of Scientology opens headquarters to serve the citizens of Pinellas County with the Truth About Drugs, one of the world’s largest nongovernmental drug education initiatives. Thousands of Scientologists and community guests gathered to dedicate a new Foundation for a Drug-Free World headquarters in downtown Clearwater, Florida, Saturday, July 11. Through its Truth About Drugs program, the Foundation is committed to eradicating drug abuse and providing meaningful drug education to young people throughout the Clearwater and Tampa Bay areas. 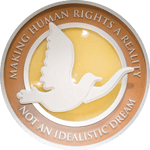 The Drug-Free World facility could not possibly come at a better or more necessary time, with illicit drug use and abuse at a crisis point in Florida. A few alarming statistics tell the dire tale. Every 32 hours, someone in Pinellas County dies from a drug overdose. Some 63 percent of high school students in the county have used alcohol or other illicit drugs. Designer drugs including K2 (a synthetic marijuana) and other drugs are surfacing in convenience stores around the area. The Sheriff’s Department is enforcing bans on these drugs, but they are easily manufactured and put back on the market. The Foundation for a Drug-Free World and its Truth About Drugs program, sponsored by Churches of Scientology and Scientologists, stands as one of the world’s largest nongovernmental drug education and prevention initiatives. 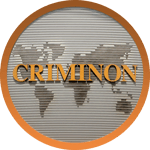 Fact-filled, high-impact educational materials are distributed by the Foundation to schools, communities and governmental institutions worldwide. 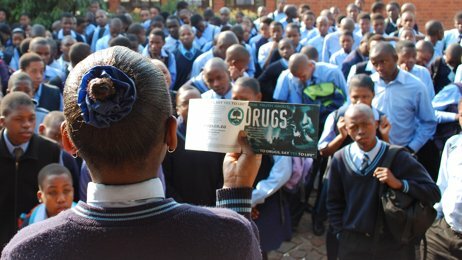 DrugFreeWorld.org is the leading drug education site, visited more than the next five top drug education sites combined. The new Foundation for a Drug-Free World center on Fort Harrison Avenue stands ready to deliver drug education and prevention for the communities of Clearwater and Tampa Bay. It houses an information center and features award-winning public service announcements and informational documentaries on each individual commonly abused drug. It also offers seminar rooms for drug education lectures and workshops. Truth About Drugs Education Packages are available in the center at no cost for educators to use in school and community settings. And as community collaboration is at the core of every strong movement, the center provides administrative facilities for Drug-Free World volunteers to partner on local anti-drug initiatives. The worldwide Truth About Drugs program has distributed more than 68 million informational booklets, effectively empowering youth to make their own decisions to be drug-free. In France, the sustained 20-year campaign of Truth About Drugs, with millions of booklets distributed in cities across the country, has contributed to a measurable drop in marijuana consumption among youth after two decades of rising use. Truth About Drugs volunteers in Italy have reached more than a half-million people through drug education events, public service announcements and distribution of drug education booklets—contributing to a 25 percent decrease in drug abuse in the country. In Israel, where the Foundation for a Drug-Free World distributed thousands of educational booklets and delivered drug education lectures to thousands of students in one city, drug use dropped by 70 percent. Find out more about the Truth About Drugs Education campaign and what the Church of Scientology does to support effective drug education and prevention initiatives.